Hi, guys! If you play Minecraft PE, so you know that the starting chest gives very few items that do not give a really good start. To change the inventory of the chest, you can use the Pro Starter Pack mod. With it, the starter chest will always be full of various useful items that will facilitate the beginning of survival in Minecraft PE. 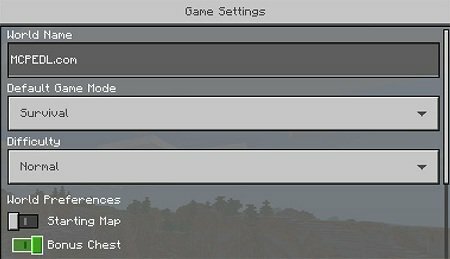 The inventory will change every time a new world is generated when Pro Starter Pack Add-on is already installed! Everything will work the same as usual. When creating a new world of Minecraft Pocket Edition, a starter chest will appear, but thanks to fashion, it will contain a lot of useful items that are very difficult to obtain.